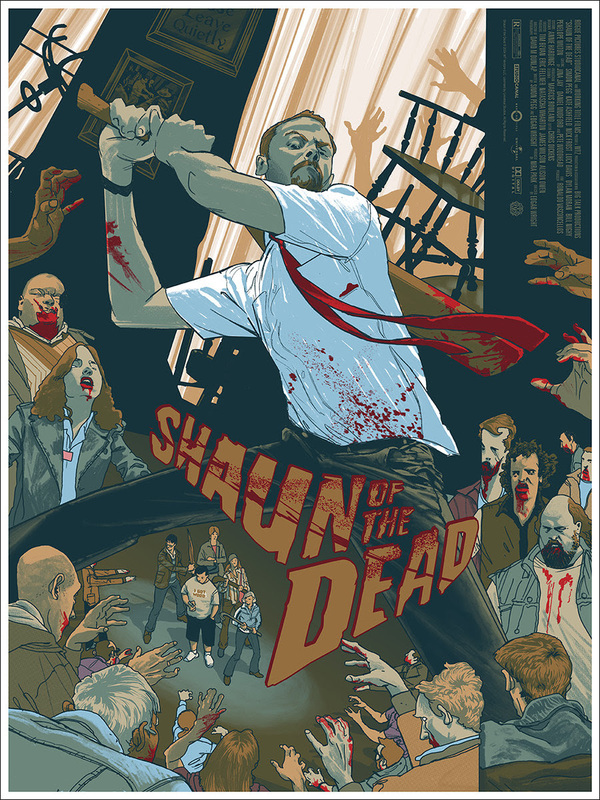 Later today, Mondo will release an incredible new poster for one of the best genre films of all time, Edgar Wright’s Shaun of the Dead, by artist Rich Kelly! This is a perfect pairing of artist and filmmaker, with Rich's stylized and brilliant illustration work made for this cult classic rom-com-zom film. 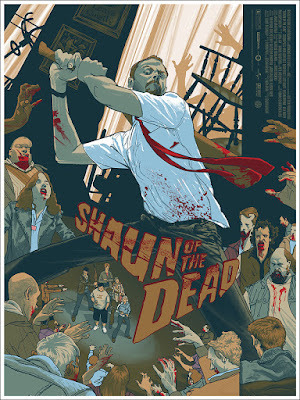 Shaun of the Dead by Rich Kelly is an 18”x24” hand numbered screen print. Limited to 300 pieces, this poster will go on sale at a random time today, Thursday, June 15th, at the Mondo online store for $45.